For sale Glenfiddich "Nosing & Tasting" tumbler x2 (two). GLENCAIRN GLASS. Over 135g of weight (without box) each. 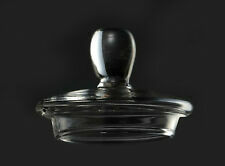 Approx 12cm tall and 4.5cm across the top. nd Class to 1. 6x The Glencairn whisky tasting glass Glengoyne whisky. Condition is New. Dispatched with Royal Mail 2nd Class. Here we have Dufftown Bicentenary whisky tasting glasses. They are made from the finest Glencairn Glass company and etched with the Dufftown Bicentenary logo. You are bidding on one of the glasses only. Plenty glasses available. About theGlencairn Whisky Nosing Copita Glass. The Glencairn Nosing Copita Glass can be used for both whisky and sherry. This relatively small tulip bowled glass is used by the distilleries to nose the newly made spirit and by their Master Blenders when nosing whiskies to be used in upcoming blends. The Graduated Taster Glasses are industry standard for nosing and tasting spirits, with a gauge line to allow the taster to note the differences in a whisky with the different amounts of water. Hand wash only. For sale is a lovely whisky tasting glass manufactured by Angles Share. The whisky tasting glasses are unique in that whisky can be poured directly from the glass onto the palette using the spout. The Glencairn Glass, Nosing Tasting. West Highland Malt Whisky, Oban 1794. Dalwhinnie Whisky Single Highland Malt Nosing and Tasting Glasses X 5 Boxed. Condition is New. Dispatched with Royal Mail 2nd Class. Thanks for looking. Whisky is a drink to be savoured. Yet whisky, the worlds most complex spirit can be found served in anything from hiball tumblers to Paris goblets. Genuine product. Stylish shape with the unmistakable "Glenfiddich" embossed logo. This varies depending on your location, and the options are displayed at the top of each ad. WE ARE HERE. In all cases parts must have been used for their intended purpose and where appropriate must have been serviced and maintained to any reasonable industry standard. Classic Malts Of Scotland set of 6 glasses with lids unused in box. Two Shaped Glenfiddich Single Malt Scotch Whisky Nosing / Tasting Glasess Condition - NEW Dimension 12cm High and 4.5cm Diameter at the rim I do have more than one set and I combine postage please message me for details if interested. - Ideal for any true Whisky lover. - please see photos - A real nice Glass - THANKS FOR LOOKING - Please check out my other listings for more Brewery related items. I list New Items weekly so please keep checking my listings.. The Glencairn whisky tasting glass complete with engraved Royal Signals cap badge on each glass. ROYAL SIGNALS TASTING GLASSES. with leatherbound travel case. Capacity: 32cl 320ml. With over fifty years of experience in creating crystal glasses that enhance the pleasure of drinking, Dartington Crystal has worked with world-leading experts to create for Bar Amigos the Rum Experience Glass. For those that are serious about their whisky (or whiskey), you cannot go wrong with the Glencairn Whisky glass. The Glencairn Whisky Tasting Set. The result wasThe Glencairn Glass, a glass for whisky… finally. Set of two tasting glasses that are specially designed to release the unique flavours and aroma of your whisky. The perfect gift for any whisky lover. Made from mouth-blown glass. The Glencairn whisky tasting glass complete with engraved RAF crest on each glass. ROYAL AIR FORCE TASTING GLASSES. with leatherbound travel case. For sale Glenfiddich "Nosing & Tasting" tumbler x1 (one). GLENCAIRN GLASS. Over 135g of weight (without box). Approx 12cm tall and 4.5cm across the top. GLENMORANGIE 13CMS HIGH. GLEN MORAY 11.5CMS HIGH. The Glencairn whisky tasting glass complete with engraved. ROYAL NAVY TASTING GLASSES. Royal Navy coronet badge on each glass. COLLECTABLE LAPHROAIG 2016 SOUVENIR NOSING TASTING GLASSES X 2. 8.5cm TALL/4cm DIA AT TOP/3.5cm DIA AT BASE[2.5cm SOLID BASE]. The perfect gift for a whisky fan. The award wining Glencairn glass has been specially designed to enhance your whiskey tasting experience. Balanced bottom weight to glass, perfect for enjoying whichever whiskey is your favorite. Lovely glass in excellent condition. Also unused Laphroaig passport which allows you to get a square foot of Islay online. Up-cycled Oak Stave & Glencairn Glass Whisky Tasting Station. 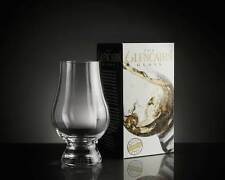 Two Kilchoman Distillery Islay The Glencaim Glass Scottish Whisky Tasting Glass.